After highly acclaimed recordings of his Requiem and Responsoriae, Czech conductor Václav Luks and his Collegium 1704 present two major compositions by Zelenka for the feast of St Francis Xavier, Apostle to the Indies, in Dresden 1729. Missa Divi Xaverii, ZWV12, was composed to be heard on 3 December; similar in its scope and aural brilliance, the companion work – Litaniae de Sancto Xaverio, ZWV156, for 9 December. 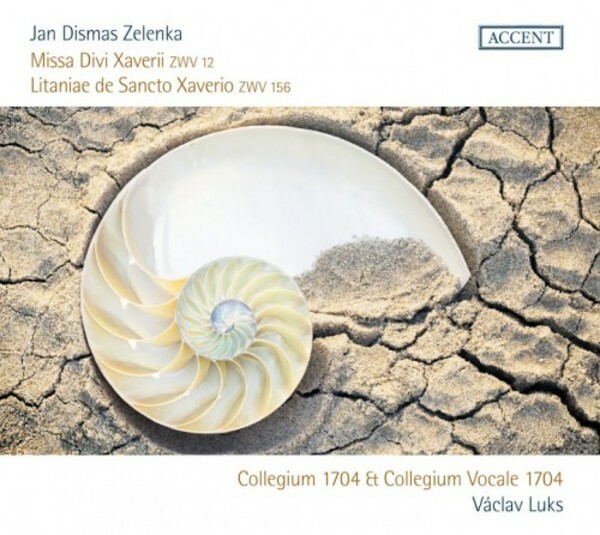 Missa Divi Xaverii, one of Zelenka's most lavishly orchestrated scores, has had a long wait to be rediscovered. Nearly three centuries passed before the work could shine in its original splendour. Zelenka experimented here, particularly in the scoring of unusually large orchestral forces which include the brilliance of four trumpets, transverse flutes, oboes and bassoon. Collegium 1704 is a Czech early music orchestra and choir founded in 1991 by the Czech conductor, harpsichordist and horn player Václav Luks, formerly horn soloist of the Akademie für Alte Musik Berlin. The Collegium specialises in Baroque music, in particular that of Zelenka, Bach and Handel. All the performers are virtuosos, and often perform with other early music ensembles.